We started out by mobilising exploited rural communities to obtain their rights and entitlements, and channelling human and financial resources to respond to their needs for basic services. In 1971, a group of students from the University of Madras, under the Young Students Movement for Development (YSMD), travelled to West Bengal to provide relief to people affected by the war on Bangladesh border. In October 1971, a few of them moved to Kendrapara district, in eastern Odisha, in the aftermath of a devastating cyclone to start relief operations. They were joined by students from the local area. After the initial relief efforts, they worked on restoring livelihoods through improvements in irrigated agriculture. In 1976, the group moved to Ganjam district, Odisha, at the behest of the District Administration to initiate a dairy development project. As tribal communities resisted the idea of dairying, the group made efforts to address immediate issues of concern – ill-health, illiteracy, land alienation and degradation of natural resources. The work done by the volunteers of YSMD in Ganjam led to the founding of Gram Vikas, which was registered on 22 January 1979. Our interventions addressed the needs of rural communities in energy, education, health and natural resources in the first decade. We built models of communities and non-government organisations working effectively with the government. The work of the YSMD volunteers was in the villages of Kerandimal hills, in Digapahandi, Chikiti and Kukudakhandi blocks of Ganjam. The ‘Kerandimal Gana Sangathan’, a tribal people’s organisation, was mobilised to oust liquor merchants and exploitative moneylenders. During the same period, successful experiments were made in setting up biogas plants to provide alternative fuel for households. Non-formal education and adult literacy centres were set up, across tribal villages, by Gram Vikas to address the literacy gap. The Kerandimal Middle Education School started in 1982, as a residential school, to cater to children from remote habitations of Ganjam. The biogas programme was taken up at the organisational level, paving the way for Gram Vikas to be reckoned as a pioneer in the promotion of renewable energy technologies. As part of the National Biogas Extension Programme, Gram Vikas undertook research and development in biogas plant design, trained a large pool of masons and technicians and built 54,000 biogas plants in villages across Odisha during the next 10 years. The Social Forestry programme was launched, mobilising tribal communities to undertake largescale tree plantations on individual and community land. This was done in collaboration with the National Wastelands Development Board. Over 25,000 acres of private and community wasteland were restored through work on soil and water conservation and fuel, fodder and fruit plantations. 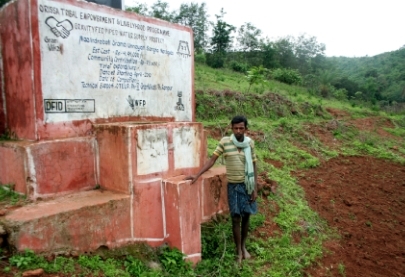 The recurring droughts in the tribal-dominated Thuamul Rampur block of Kalahandi District led Gram Vikas to start working with the communities there. The Integrated Tribal Development Programme (ITDP) was established. The Odisha Drought Action Forum, a network of non-governmental organisations, with Gram Vikas as a founder member, was formed to address development issues emerging from the recurring droughts in tribal areas of Odisha. The forum eventually became the Odisha Development Action Forum and a key development actor in the State. Once again, responding to a drought situation, the ITDP is expanded to cover the tribal hamlets in Koinpur area on the foothills of the Mahendragiri peak, in what was then a part of the undivided Ganjam, now in Gajapati district. ITDP was also initiated in the Rudhapadar area of Jagannath Prasad block of Ganjam. Gram Vikas supported the ‘Adivasi Bhumi Adhikar Sangha’ (tribal land rights movement) in Thuamul Rampur block of Kalahandi district to collectively resist the efforts by the administration to convert their farmlands into tea plantations. In the second decade, we innovated on ways to improve the quality of life of rural communities through water and sanitation, credit-linked housing and residential school-based education. Building upon the community linkages established through the Social Forestry programme, the Integrated Tribal Development Programme (ITDP) was initiated in the Tumba region of Patrapur block in Ganjam. 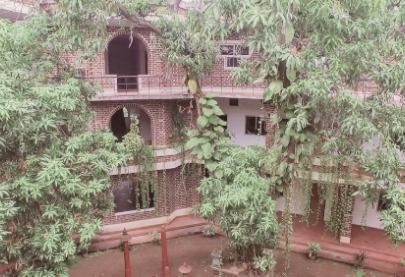 The Mahendratanaya Ashram School, a residential school catering to children from the Mahendragiri area of Gajapati district was set up. After a decade of intensive promotion of biogas technology, across villages in Odisha, Gram Vikas decided to withdraw from the programme. A large number of technicians and masons were supported to branch out on their own, as renewable energy entrepreneurs or to work with other agencies promoting biogas technology. Looking to build upon its ability to take up technology-oriented development efforts, Gram Vikas identified the acute problems of sanitation and unsafe drinking water, and resultant morbidity in tribal and non-tribal villages, as an area needing attention. The Rural Health and Environment Programme (RHEP) was initiated in five villages in Ganjam and Bargarh districts, to mobilise all families in village habitations to build household level toilets-and-bathing rooms, and village level piped water supply systems with two (later three) tap connections to each household. The ITDP was initiated in the Karadasing area to build upon the linkages established through the Biogas and Social Forestry programmes in the Rayagada block of Gajapati district. The first phase of RHEP was initiated on successful completion of the pilot projects in the five villages. By 1998, the Phase 1 covered 40 villages. With the support of Council for Advancement of People through Application of Rural Technologies (CAPART) of Government of India, Gram Vikas initiated the Housing programme, supporting the construction of permanent dwelling units in the tribal areas. The Gram Vikas Shiksha Niketan, a residential school for tribal children in Thuamul Rampur block in Kalahandi was set up.The credit-linked rural housing programme in partnership with HDFC was initiated. The RHEP entered Phase II, expanding coverage to 61 villages. The ITDP was restructured, with intensive work focussed on a smaller number of core villages, to ensure that the efforts bore lasting results.The two Cyclones that hit Odisha in October 1999 resulted in widespread damage to lives, property and livelihoods across Gram Vikas’ operational villages. Gram Vikas offered immediate relief services in Ganjam and Jagatsinghpur districts. We built back better for the communities after the devastating cyclones, consolidated our work in water and sanitation and expanded our tested models beyond Odisha and India, as we moved through our third decade. Post-cyclone recovery and reconstruction work were taken up in villages in Ganjam and Gajapati districts focussing on building disaster-proof houses. Training of masons was taken up on a large scale. The Barefoot Engineers course for training construction supervisors started. In three years, Gram Vikas trained over 3000 masons and 50 Barefoot Engineers to use cost-effective and environment-friendly (CEEF) construction methods. Gram Vikas supported Government of Odisha to build cyclone-resistant school buildings using CEEF technologies. In three years, 39 school buildings are built. 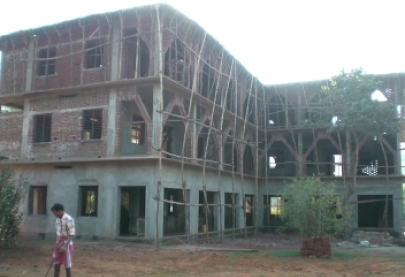 The fourth residential school, the Gram Vikas Vidya Vihar was set up in Rudhapadar in Ganjam district. Recurring droughts in Western Odisha prompted Gram Vikas to undertake watershed development projects on a large scale. In Bangomunda block of Bolangir, work was undertaken under the National Watershed Development Programme and later under the DFID-funded, Western Odisha Rural Livelihoods Project. In the ITDP project in Thuamul Rampur, large-scale watershed-based work was initiated. A comprehensive external evaluation of the work of Gram Vikas began. A new phase of work in renewable energy technologies began with projects in Kalahandi district to set up micro-hydro power generation at the village level. The Strategic plan for Gram Vikas with revised statements of its vision and mission was finalised through a participatory process involving staff at all levels. Design of the Movement and Action Network for Transformation of Rural Areas (MANTRA) approach, based on the experiences of work under RHEP, was developed. The approach became the flagship programmatic framework that continues till today. Gram Vikas became a key implementer in the Swajaldhara scheme for rural drinking water, launched by the Government of India and Government of Odisha. The Odisha Tribal Empowerment and Livelihoods Project (OTELP) is launched with Gram Vikas as the implementing agency in Thuamul Rampur block of Kalahandi. Work in the area of decentralised electricity generation through micro-hydro projects in Kalahandi expanded to more villages. Gram Vikas’ work crossed the boundaries of Odisha. Partnership with local partners in Madhya Pradesh and Jharkhand was forged to take the MANTRA approach. The MANTRA approach went international, in partnership with an organisation in The Gambia, to promote community-based sanitation and water. The fourth decade saw us expanding our reach, strengthening work with the government, forging effective corporate partnerships and transitioning to new leadership. Maligaon in Thuamul Rampur block became the first village to be fully electrified using solar power in Kalahandi district, diversifying Gram Vikas’ work in renewable energy. Gram Vikas entered into its first Corporate Social Responsibility (CSR) partnership with the Rourkela Steel Plant of Steel Authority of India in Sundargarh district. A new partnership with NABARD for the WADI Project in Ganjam district led to the formation of a Producer Company consisting of more than 450 members. ‘Khel Vikas’ – a partnership between Gram Vikas and Pro4Sport Solutions was launched to promote the theme of ‘Right to Play’ among the children of Gram Vikas residential schools. Leadership transition ushered in as Joe Madiath stepped down as the Executive Director, after 35 years of leading Gram Vikas. Gram Vikas entered a new phase of working with the Government of Odisha, as the socio-technical partner, for the implementation of the World Bank funded Odisha Disaster Recovery Project, for building disaster-resilient habitats for people affected by Cyclone Phailin. Partnership with the SBI Foundation for the Youth for India Fellowship began enabling educated, largely-urban professionals to engage in grassroots development work. Gram Vikas opened a field office in Gumla in Jharkhand, the first such direct intervention set up outside Odisha. Till then, work outside Odisha was in the form of technical assistance to local partner organisations. Gram Vikas Decade V, the strategic plan for the fifth decade of Gram Vikas, is approved to build on the achievements, experiences and lessons from the past 40 years of our work.